One of EWMI’s particular fields of expertise is promoting the rule of law in post-conflict environments, and as such, conflict mitigation and peace-building strategies have always been an integral part of EWMI’s programs. Recently, however, EWMI’s work with communities affected by conflict in Fiji and Liberia has brought conflict mitigation initiatives into the foreground of EWMI’s focus. EWMI is currently implementing the Promoting Dialogue and Tolerance in Fiji (PDTF) Project, a project that promotes tolerance through dialogue among the divided social and political groups in Fiji. Following the most recent coup in 2006, Fiji’s interim military-dominated government has rejected attempts at domestic and international dialogue, while postponing elections until 2014. The interim government has been accused of curtailing the rights of Fiji Islanders to freedom of speech, the press, peaceful assembly, and association, and there have been reports that the military and police have arbitrarily arrested and detained human rights defenders, labor leaders, journalists, and others perceived to be critical of the government. For Fiji to move towards a sustainable constitutional democracy, national dialogues are necessary to heal deep societal and political divisions, rebuild relationships and achieve broad-based agreement on land reform, electoral reform and the provisions of a new constitution that respects human rights and achieves a balance for Fiji’s ethnic groups. Through the PDTF project, EWMI is supporting dialogues to promote tolerance and enhance the capacity of Fiji’s CSOs to promote democracy and respect for human rights. 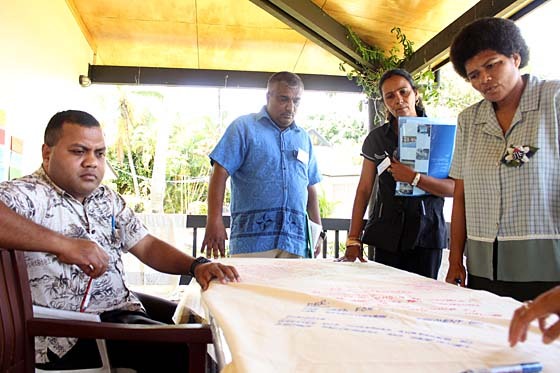 In order to effectively administer the dialogues, EWMI has partnered with Dialogue Fiji, a coalition of prominent Fijian civil society actors that promote track-two dialogues. C-Drill organized community outreach events at markets aimed at educating the public about the benefits of mediation. 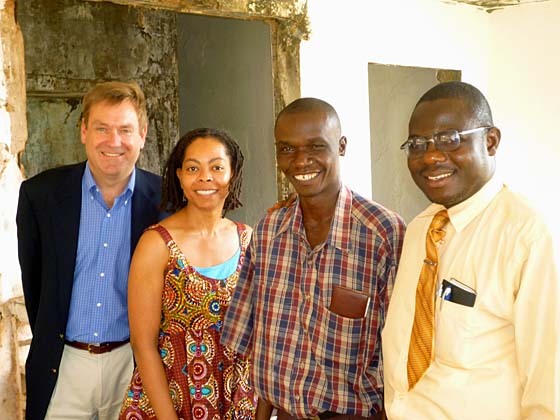 EWMI recently completed its two-year mediation and community outreach program in Liberia, a country that continues to face many challenges in establishing a peaceful society. 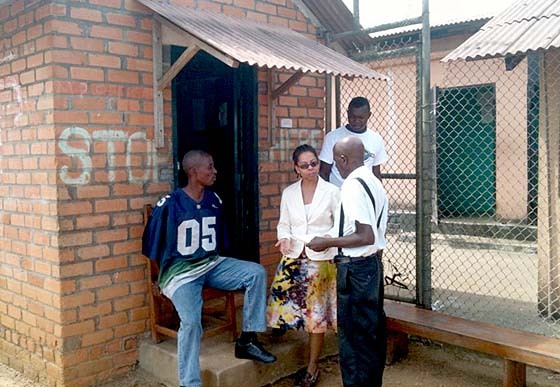 Liberia's strained criminal justice system cannot handle the overflow of pre-trial detainees fed by citizens who abuse the weak legal system by having their fellow citizens arrested, knowing that a detained person can languish years in overcrowded and unsanitary prisons awaiting trial. Responding to this trend, EWMI and its key local partner, Prison Fellowship Liberia (PFL), educated community leaders and the public on the benefits of mediation to mitigate conflicts, provided mediation services to community members, and used mediation to address the overuse of extended pre-trial detention in the country. 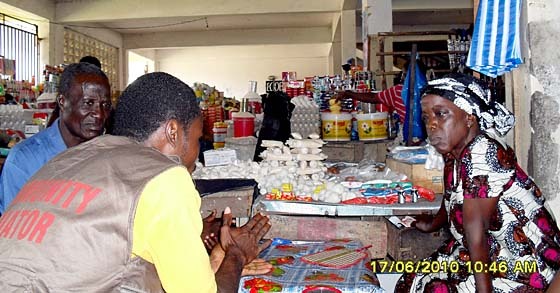 The overall goal of the project was to encourage Liberians to address the central causes of conflict in the community before a dispute escalated to violence or before individuals were unjustly arrested and placed in extended pre-trial detention. EWMI-PFL mediated a case in Margibi County between Rachel and Helen, at the request of the church the two women attend. Initially the dispute appeared to have to do with the younger woman (Rachel) disrespecting the elder (Helen); as the mediation went on, it turned out that the dispute really concerned the replacement of money taken from a revolving fund the two women are part of. Helen blamed Rachel for bringing in the member who absconded with the money; Rachel felt that Helen was turning the community and Helen’s family (which includes Rachel’s boyfriend) against her. After prolonged discussion, the family and Rachel agreed to share the cost of replacing the missing money. In mid-December, EWMI-PFL mediators in Bong County visited Phil, a 22-year-old who was arrested in July 2010 and charged with theft of property. Phil was in jail without trial for four and one half months. PFL mediators learned that he had been arrested after he returned the property that was alleged to be stolen; the complainant demanded reimbursement for expenses she incurred in looking for him, and it was his failure to pay the reimbursement that led to his arrest. The complainant never pursued her complaint, and in an interview stated that she no longer had a problem with Phil. After notifying the County Attorney of the situation, the PFL mediator asked that Phil be put on a list of persons who would be released before the end of the year. Phil was released on mid-December 2010. Since opening an office in Kosovo in 1999, EWMI has been at the forefront of Kosovo’s development by supporting Kosovo’s civil society, government and media through mentoring, training, grant-making and networking programs. More recently, EWMI has been working to address the needs of a fledgling government left with the challenge of managing security in a multi-ethnic, post-conflict state as the role of the international presence in Kosovo has decreased. In 2010, EWMI completed the implementation of the Municipal Councils on Safety in Communities (MCSC) Project that worked to improve security in Kosovo by reactivating municipal level structures called “Municipal Councils on Safety in Communities”, which can serve as the backbone in assuring communication among central and local government officials, civic institutions and minority communities, and between the municipal officials and the public. Working in cooperation with the Association of Kosovo Municipalities, the Office of the Prime Minister of Kosovo and the Ministry of Local Government Administration, EWMI supported efforts by the community and citizen groups to: (i) create sustainable mechanisms for communication between civil society, local elected leaders and security structures; (ii) improve the confidence in the security and safety institutions; and (iii) allow Kosovo Serbs and Albanians to work together to address security and safety issues at the municipal level. The MCSC project established 28 MCSCs that include members from five ethnic communities: Albanian, Serb, Roma, Turkish and Bosniak peoples. By increasing the participation of various communities in the municipal government decision-making process, EWMI helped community leaders work together to improve life and security for their respective communities, and promoted interethnic cooperation while building trust in Kosovo’s governing institutions.